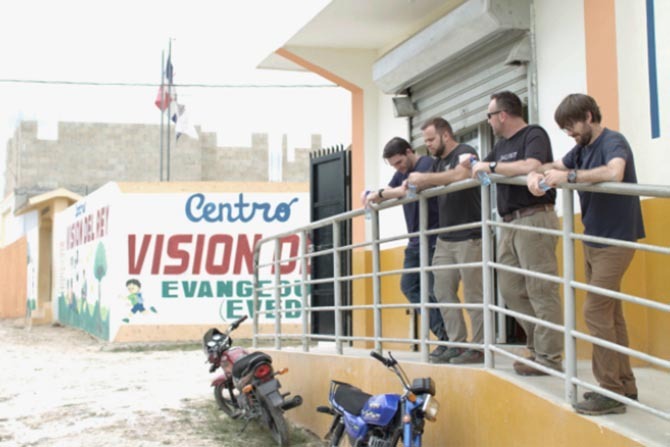 It’s been a hot minute since we shared a 1040.com Podcast episode, and with our team fresh from a vision trip to the Dominican Republic (DR), we figured now would be a great time to update you all. Full video at the end! 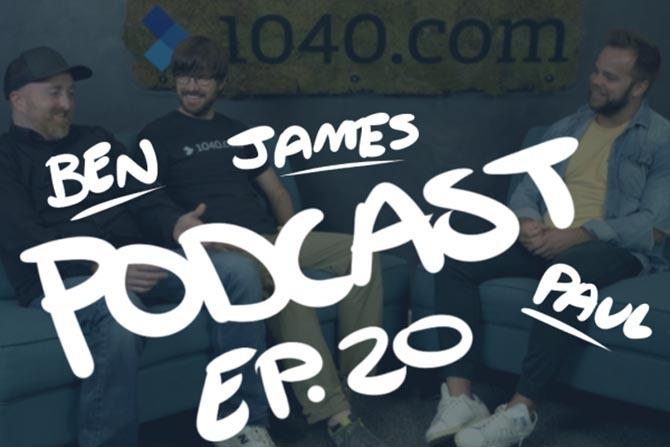 Paul, one of our podcast hosts, is with James Stork, the 1040.com VP, and Ben Walker, who produces our audio and video content. These guys were three of the five 1040.com team members who went on the vision trip—we’ll hear from Chris and Ken on the blog next week in Part 2. James has been to the DR three times, so the sights have become pretty familiar now. Getting to reconnect with community leaders and see what clean water has accomplished compared to even a few years before, from new schools to fewer illnesses, is a process he says he’ll never get tired of. For Ben, it was awesome to see another country and realize just how similar people are, no matter where they’re from. Even though many don’t have as much as we do, humanity is the same, and spending time with people in their communities was great. Paul’s favorite quote from the pastors and community leaders was from Pastor Julio in Consuelo: “Every drop tells a story, and $2 goes way further than what we realize.” We may not think it’s much, but every donation is invested back in HWI’s tech, which is giving hope to those who have lived for generations without clean water. James talks about his fascination with HWI’s filtration systems. These systems have been designed for implementation on small or large scale, so their model is flexible enough to fit in a 10x10 concrete building or a space large enough to process thousands of gallons a day. It’s a huge testament to HWI’s focus on community first; the field staff identifies the need, available facilities and water source, and from there they can start small and expect to grow over time. Once that investment has been made, HWI then pulls away and gives the responsibility of running the water system to local leaders, which makes the model sustainable. Ben was impressed with the way HWI passes the torch to the communities who benefit from clean-water access. He points out how the leaders running the system were proud of their work, and how inspiring it was to see their sense of ownership and hard work. These leaders were able to take care of a problem and use that opportunity to grow in other ways, and it was amazing to see the value they’ve created over the years. James goes on to explain how the HWI model works. Each filtration system is set up like water store. 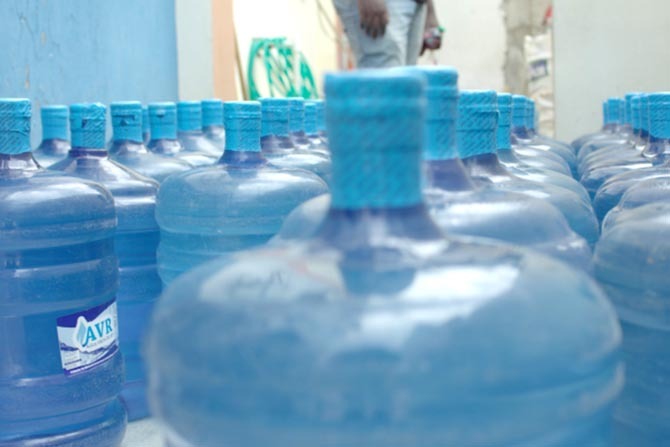 The water sold at HWI stores is always less than half the price of commercial water—usually even less—and tends to be better quality, too. By selling the water at an affordable rate, community leaders make clean water accessible to the entire community and budget funds to maintain the system, hire employees and invest in other projects. One water system is being used to fund a bakery, Paul points out. And that bakery has generated enough revenue to fund a school, a church, and even a baseball coach for after-school activities. Paul and James were even able to play baseball in one of the communities with about 60 kids—talk about a huge team! You may remember that Paul’s first vision trip was to Haiti a few months ago in November of 2017, and he believes that visiting another country gave him some perspective. Haiti is still reeling from natural disasters and other setbacks, so many of the water projects are in the early stages; however, seeing sites that have been up and running in the DR for 5–10 years gives hope and provides a concrete vision for water sites just getting started. For Ben, the biggest takeaway was just how effective HWI is with the donations they receive. He’s usually skeptical about donating money to organizations without knowing how much actually goes toward the stated mission, so seeing the good and how their minimalist model really works over and over again was eye opening. James gives a shout out to JJ Gomez, HWI’s Director of Field Development & Partnerships. He’s worked 11 years for HWI and has a big heart for the mission, the countries he serves, the people he encounters, and his personal calling. He always takes great care of us and really helps us see the impact of clean water. Check out the podcast episode to hear more about the Dominican Republic trip—including Ben’s experience with coconuts and just how many home runs Paul hit during the game!